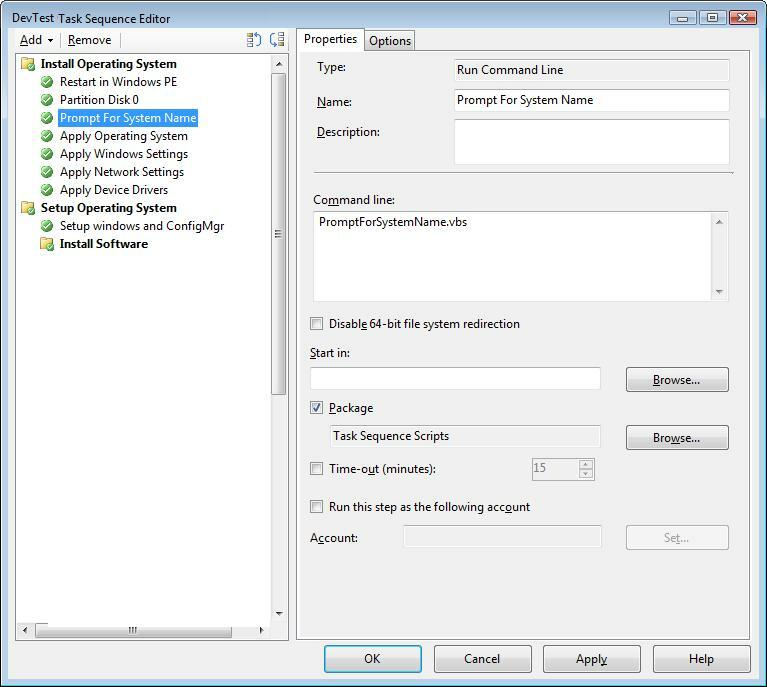 Recently I updated a customer’s ConfigMgr 2012 R2 SP1 environment with Cumulative Update 2. It was not exactly a jovial experience, so I thought to share some of the pain points that were experienced. Total time for CU install was 30 minutes on the primary, with the console update taking the longest time. Remote console updates took about 15 minutes. The Release notes say no restart is required, however after the installation, the wizard says a restart is required to complete the changes. After upgrade/restart, the distribution manager was unavailable…for about 15 minutes. 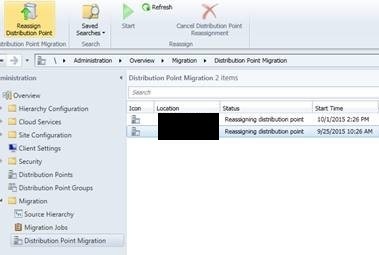 At that point, ConfigMgr began automatically upgrading all pull DPs with a newer installation. This is not documented in the release notes that an auto upgrade would happen. The package transfer manager was locked and unavailable for not quite 2 hours, so content could not transfer. Some pull DPs failed to upgrade, which is shown in the distmgr.log as well as in the DP Configuration Status. This also broke communication with SMS Executive on the failed DPs. The only commonality that I can find that these DPs are all on Windows Server 2008 (non-R2). However, other DPs on that server were OK.
Distmgr.log also showed error “Failed to copy vcredist_x86.exe to \\server\SMS_DP$\sms\bin\vcredist_x86.exe. GLE = 32”. The vcredist_x86 file had multiple open instances showing in task manager, which needed to be terminated so that the file could be deleted from the bin directory. Ending those open processes allowed the install to continue. The CM client package and upgrade package automatically updated across the organization … But there were zero new files in the client install folder. Buried in the release notes is a post-install task to update the DP for all boot images. 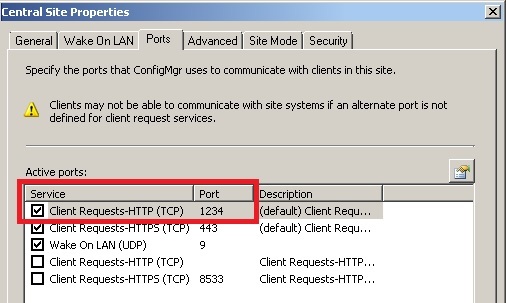 In this case, the customer had configured the 2007 primary site to have clients communicate on a custom port, and not use the standard default port 80, of which the 2012 primary site was configured to use. By changing 2012 to also use that same custom port, re-running the source hierarchy gathering process, the migration tool (and migctrl.log) now displayed the secondary site servers available for upgrade. 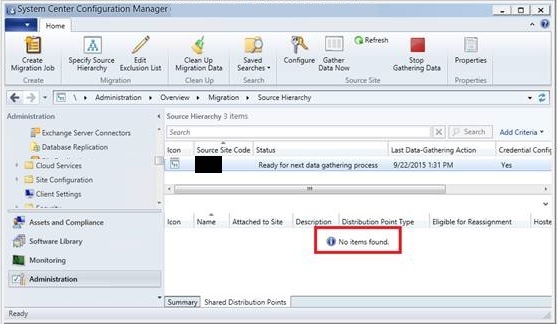 This entry was posted in ConfigMgr 12 and tagged Lessons Learned. 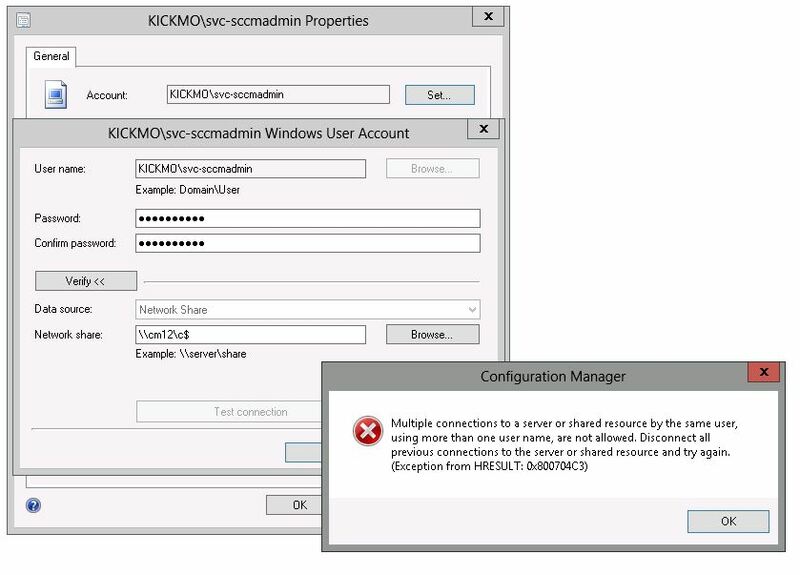 The error implies that WSUS 3.0 SP2 is required for the remote SUP, however it is not for Windows Server 2012 R2. Rather, since the SUP is on a remote server, the WSUS admin console server feature is required to be installed on the primary site server.